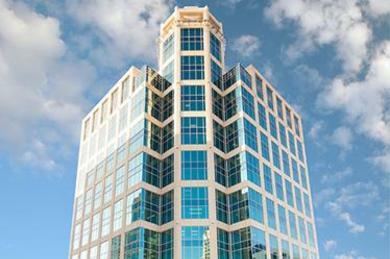 200 East Las Olas is conveniently located on the Boulevard in the heart of Downtown Fort Lauderdale. Las Olas Boulevard connects Downtown Fort Lauderdale with A1A and the Atlantic Ocean. Las Olas Boulevard not only provides a primary connection to the beach, but over the years has become a dining and shopping hub for locals and visitors. Between the entertainment, tourist attractions, retail, and service establishments in the area, it makes it easy to work, live, and play within walking distance of 200 East Las Olas! The 200 East Las Olas Parking Garage is the preferred parking facility for Las Olas Boulevard "the Best of Fort Lauderdale". 200 East Las Olas is surrounded by fashion boutiques, art galleries and museums, restaurants, sidewalk cafes and bars, and live entertainment. 200 East Las Olas Parking Garage entrance is located on Las Olas Way. Standard sized vehicles only. Due to size constraints, this location is unable to accommodate minivans, midsize and large SUVs, pickup trucks, and passenger vans. From I-95: Take Broward East for about 2 miles. Turn Right on 3rd Ave for 0.3 miles. Cross Las Olas Blvd and immediately veer Right into the parking garage entrance. Do not cross the bridge. From the parking structure, take the elevator down into the building lobby and exit to the street. 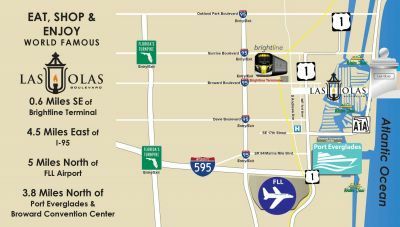 From A1A: Take Las Olas Blvd for approximately 2 miles. Turn Left on 3rd Ave and immediately veer Right into the parking garage entrance. Do not cross the bridge. From the parking structure, take the elevator down into the building lobby and exit to the street. The 200 East Las Olas Parking Garage is operated and managed by One Parking. One Parking is one of the most respected Parking Solutions Companies in the United States. One Parking is passionate about delivering excellent service and their reputation is built on putting their customers first.